I am sure l heard a groan or two from the Design Team when l suggested this one and l must say until recently l had not used it all that much myself, but over the last few months it has popped up a few times in my papercraft and is now a new fave for sure! The Design Team have really aced this challenge and have created some stunners for you......anyhoo, here's my card, l really challenged myself on this one by adding Christmas to the mix, definitely non traditional Christmas colours...well for me anyway! It was a little hard to capture the soft shimmery colouring and the gold embossing at the same time, sorry...this is the best l could do! I really love this set, it reminds me of our really old, super fragile glass baubles we had, well actually l still have some safely tucked away for....not sure why really, l'm just too scared they would get broken l guess, especially with all the little fingers around here these days...bless them! "Thanks for stopping by & have a lovely week"
So...as you can see my Dad is so not a frills man, earthy, simple & as solid as tree..:0) I wanted to keep his card the same, so with that in mind l pretty much kept to the sketch exactly and chose stamps & colours with a definite earthy feel. The Design Team have used the sketch in many beautiful and varied ways to inspire you, so pop over and have a peek, swing by their blogs and leave them some love & play along if you can! 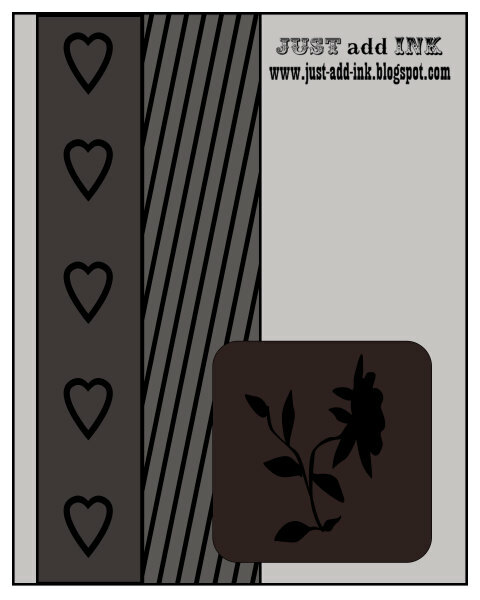 "Thanks for stopping by & have a wonderful day"
All Supplies Stampin Up (Except Button). I will keep my post short & sweet this week as l'm feeling less than perky with a head cold and the old brain is rather foggy. At Just Add Ink we have a cool colour combo for you this week compliments of Tina. I generally don't use Garden green a lot in my paper crafting so this was initially a little daunting, but once l had the colours out it was pretty easy to come up with something l liked and the DT have produced some great projects to give you some ideas. 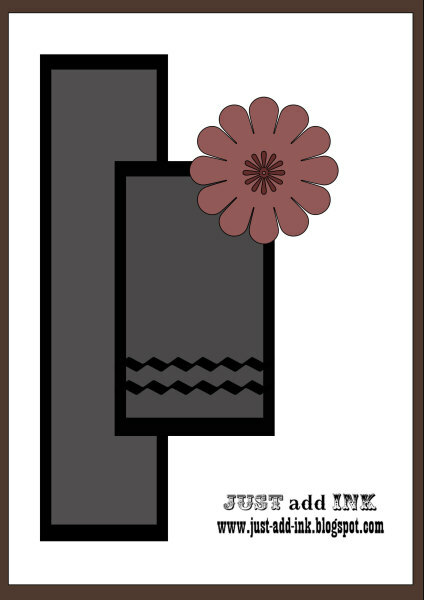 Very Vanilla, Choc Chip, Crumbcake & Garden Green Inks & Cardstocks. Choc Chip stitched Grosgrain Ribbon (Retired) & Basic Pearls. 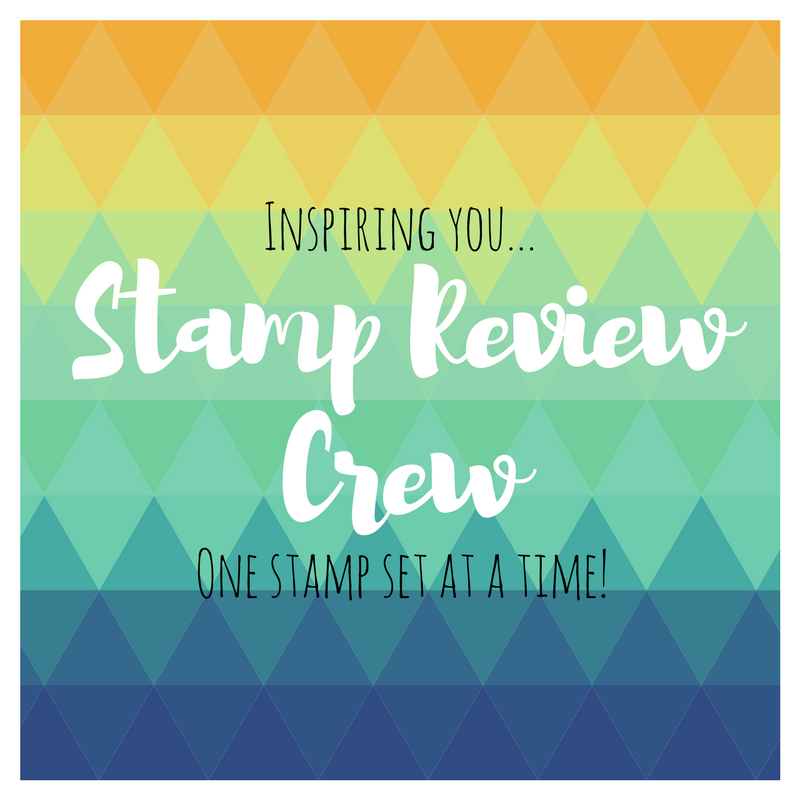 All products are Stampin Up unless otherwise stated. 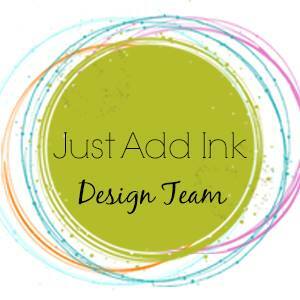 It's time to share another Just Add Ink challenge with you and this weeks challenge is to "Just Add Blue and Bling". The Design Team have all created some wonderful samples using all manner of Bling and many gorgeous shades of Blue too! Don't forget to pop over to the challenge blog and leave them some love. As you can see l opted for lots of clear glass glitter and Stampin-Ups Silver Glimmer paper for my form of bling and l assure you it is very blingy and sparkly in the flesh! Although extremely hard to get a true photo of. 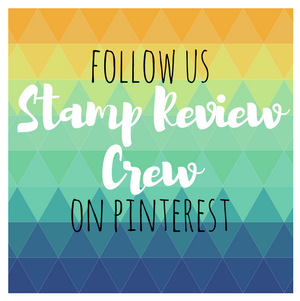 All products are Stampin-Up unless stated otherwise. This week over at Just Add Ink we have a great sketch challenge provided by Mae. I really liked the clean lines and basic shapes of this sketch and pretty much followed it exactly (not one to think outside the box very often). I decided to use a very soft colour palette this week and l must say l'm glad l did! I like the simple look and that the texture just stops it looking flat and uninteresting. The DT have some lovely & varied interpretations of this weeks sketch, so don't forget to go check them out and play along if you can. We love to see your take on our challenges each week and l personally get heaps of inspiration from your entries. "Thanks heaps for stopping by & have a lovely weekend"